"A Way To The Better"
By Robert McManners and Gillian Wales. 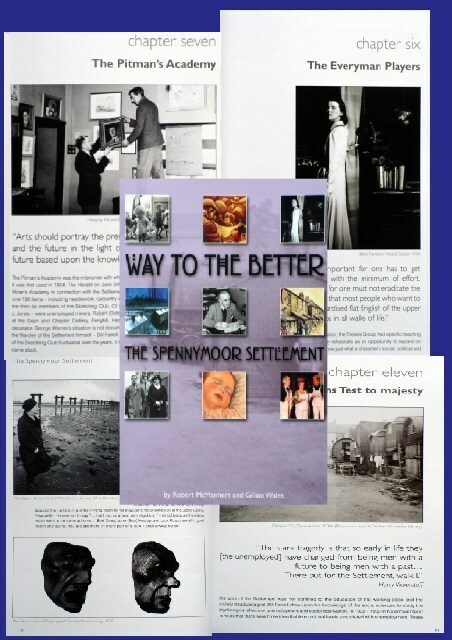 "This book presents an opportunity to record the history, contextualise the background, and explore the legacy of the Spennymoor Settlement." "The Spennymoor Settlement proffered enlightenment - an enlightenment which was to be the catalyst for artists of the calibre of Norman Cornish and Tom McGuinness and a writer as talented as Sid Chaplin to realise their full potential..."